Would you want your heart surgery to be performed by a plumber? They both fix leaks - what's the difference? Beware of web developers with a sideline in eLearning. Our instructional design team is made up of qualified and experienced learning professionals, with senior instructional designers holding masters degrees in education. We have extensive experience in needs assessment and creating complete curricula including online course storyboarding and face-to-face student materials, presentation packages, and detailed instructor notes. We can meet any need from classroom delivery to distance learning to blended solutions to web-based tutorials and mobile learning. We follow accepted standards of Instructional Systems Design to produce lessons which meet your stated objectives in an enjoyable and motivating manner. Studies have shown that highly interactive and engaging learning programs increase user retention, motivation, and completion rates. Therefore, our learning strategies match appropriate interaction with required learning outcomes using techniques such as application exercises, case studies, simulations, and role playing. Within that plan, however, our team work with you to ensure we produce an engaging and innovative product while adhering to best practices in instructional design and online development. Contact us now to hear about our Customer Experience plan! As a learning professional, you know that student engagement is key to a successful outcome, and nothing can squash motivation like cookie-cutter templates and off-the-shelf solutions. Speak to your students' reality with completely customized online solutions, designed to your exact specifications. 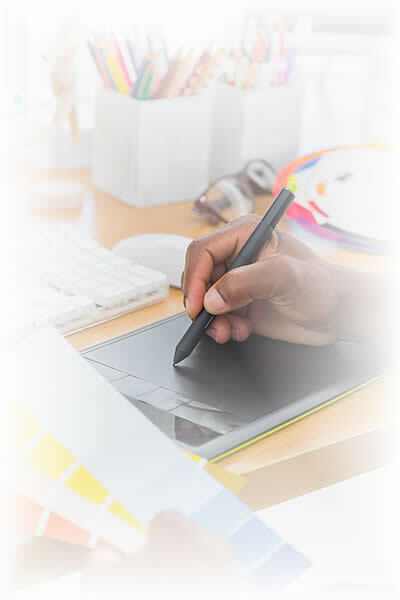 Our talented graphic artists and code developers combine the latest techniques with up-to-date multimedia learning theory to produce the perfect balance of attractive, effective learning while promoting your organizational culture throughout the learning experience. Contact us now to view a demo course.